Wicker Park is one of the best neighborhoods in Chicago for nightlife, restaurants, bars and shopping. Downtown is great for sightseeing but Wicker Park is where you will want to spend all your time. Take a look at our video and see how good our location is. You can literally see the trains on the Blue Line pass by a block away. Wicker Park is the hippest place in Chicago and is only 2 stops from the City Center and 5 stops from the Willis (Sears) Tower and Union Station. 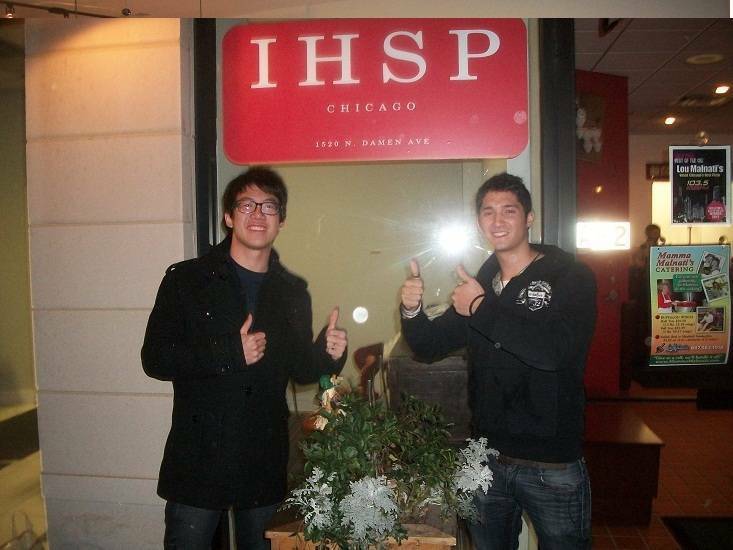 Make the right choice in your travels and try out IHSP Chicago Hostel located in the famous neighborhood of Wicker Park' . Less than a 2 minute walk from the Damen Stop on the Blue line. *On-site parking is $10/day + tax for guests. Availability is limited so reserve early! United States Citizens: You may not stay in our dorms unless you have a student ID and a travel itinerary. If you would like to stay in our dorms: you must have and show at check in: a current student ID with travel itinerary and/or a current foreign passport. Maximum number of nights guests can stay in the dorms is 7 nights per month. Maximum number of nights guests can stay in a private room is 14 nights per month. Pay remaining balance by cash and save money! Paying By credit card at check in is an extra 4% merchant fee charge. 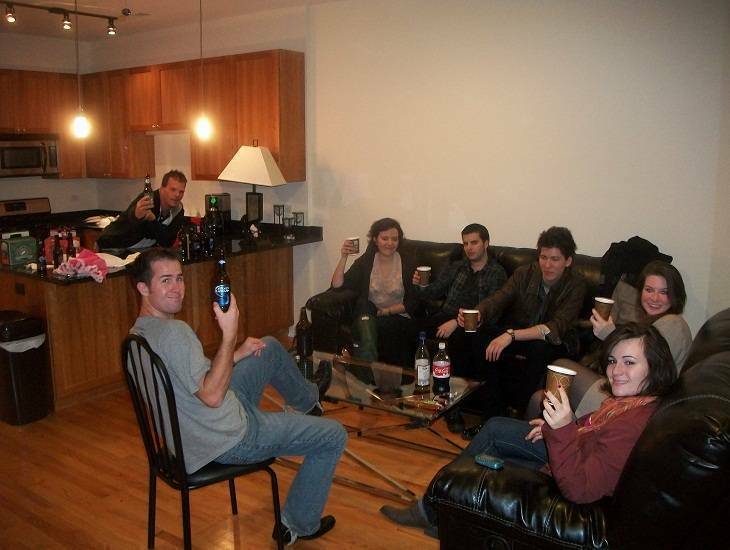 Private Rooms vary from small singles up to large group rooms that can sleep up to 10 people. Rooms Vary in style and size. If you require special needs, let us know. Elevator for 3 floors is in main reception building only. 48 hour cancelation. If you do not cancel prior to 48 hours of your arrival date you will be charged for the first night. Larger groups or long-term guests have stricter cancellation policies. Contact us for details. All guests staying in a dorm must have a valid student ID or a foreign passport. 21.4% Tax is not included in the rate and due upon arrival. The CTA Blueline Metro Subway Train runs 24/7 directly out of the Chicago O'Hare Airport. Our stop is at Damen/ OHare in Wicker Park Bucktown. Our Reception Desk is a few steps from the exit gate at Damen Street. Just go down the escalator at Ohare and board the CTA Blue line - a simple little 20 minute ride and you're at our front doorstep when you get off at Damen Street Exit. 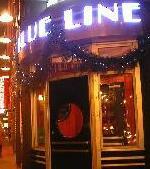 The Famous "Blue Line Bar" is at the exit, you can even stop and have a brew before you check in, or grab a tasty bite to eat. Departing is exactly the same.